Whether you want to add a conservatory, extend your garage, or convert your loft into an additional bedroom, building an extension is an economical way to add more space to your home and drive up the value of your property. Before laying the foundation, it's important to know the ins-and-outs of an extension. This way you'll ensure a smooth (and cost-effective) construction project. With a bit of research before you begin, you can determine whether building an extension is right for you and your property. Most of us move because we want more space - a larger kitchen, an extra bedroom, or a dining room to host large parties. But when you consider all of the moving costs, from surveyor and agent fees to stamp duty and conveyancing, jumping into a new home goes from fantasy to stressful inconvenience. Building a professional extension is an affordable option for adding more space without uprooting your life and family. Even better, an extension can dramatically increase the value of your property provided it's done well. A local estate agent will be able to tell you whether your extension will add value, which in turn helps you set your budget. How much space do you need? There are many things to consider before embarking on an extension, but one of the most important is the amount of space you require. If you're about to welcome a new family member into your home, you'll probably want to consider another bedroom and maybe even an extra bathroom. Building vertically is one of the best ways to add space without going over budget. While you would you assume that building more rooms means more money out of your pocket. In fact, the most expensive elements of an extension are the roofing and foundation. Therefore, by building up, you can gain more space with only a marginal increase in price. While there are many variables that affect the price of an extension, you can determine an approximate price by requesting an estimation, or even better, asking for a quotation from both labourers and suppliers. Whether given verbally or in writing, an estimate is only a guess, meaning the final bill may well exceed the original price. A quote, on the other hand, is a definite and legally binding price. It should clearly display a list of all works to be done, a breakdown of the costs, and include VAT charges. In general, basic extensions can cost £1,000 to £1,700 per sq/m, while extensions employing high-end labourers and materials can run around the £2,000 per sq/m mark. A good rule of thumb when determining your finances is to consider how much value an extension will add to your property. Will you recoup the cost of building an extension from your home's new worth? Again, it's important to seek the advice of an estate agent to understand the future value of any extension. Once you have a rough estimate (or definitive quotes) for your extension you can now assess how to finance the project. For an affordable build, you might consider using an interest-free credit card to borrow a small amount of money. Credit cards and/or personal loans are ideal for extensions and often have a range up to £25,000. Anything above that amount and you should consider a re-mortgage or a secured loan. Unlike creating a new dwelling (either building from scratch or subdividing an existing home), an extension to your existing building might be legal without planning permission. However, it's always best to check with your local authority's planning department to see whether your extension requires planning consent. When in doubt, always check with your local planning office before beginning construction. Even a modest extension might require planning permission if you live in a specific region, such as a conservation area or a national park. Listed buildings require consent and any extensions involved must utilise the same materials and design of the original dwelling. Whereas planning permission for your extension may or may not be required, all extensions need Building Regulations Approval. Building regulations ensure each home meets certain standards regarding fire and electrical safety, access, insulation, and sewage. There are two ways to meet Building Regulations in the UK, and both involve submitting information to your local authority. We suggest sending a Full Plan Submission, which is the safer of the two options. After paying a small fee, a building inspector will make a series of visits to your extension in order to inspect the different stages of work. The second option - sending a Building Notice - is riskier because it doesn't provide the full details of your extension's construction. Therefore, surveyors can make any alterations they deem fit during the construction, which could drastically increase the price of your project. Whether you drew your extension on a napkin or you enlisted the skills of a professional, the design of your extension is largely in your hands. Architects generally aren't required for home renovations, but there's no denying the quality and results that using a professional yields. Provide your architect with as many details as possible regarding your extension, including how and when you'll pay them for their services. At this time, you may also want a structural engineer to assess your planned extension. They will create technical drawings and make calculations that can be used to approve your Building Regulation and increase the overall value of your extension. With a design in hand, it's time to put your trust in the talented people you've sourced to manage and build your extension. If you use a 'design and build' company, then the entire project will be handled for you. But if you designed your own extension or hired an architect, you may need a contractor to finish the build. The best way to find builders, contractors and tradespeople, is still one of the oldest - word of mouth. Talk to people who have recently undertaken similar renovations or extensions and ask for their recommendations. But also check online reviews and don't be afraid to ask for examples if you're unsure. Matching your bricks and materials is an essential part of building an extension. High-quality bricks help your extension seamlessly blend in with your existing property. Matching your bricks is also a vital prerequisite to obtaining planning permission. Brick matching can take weeks of research. That's why we're here. 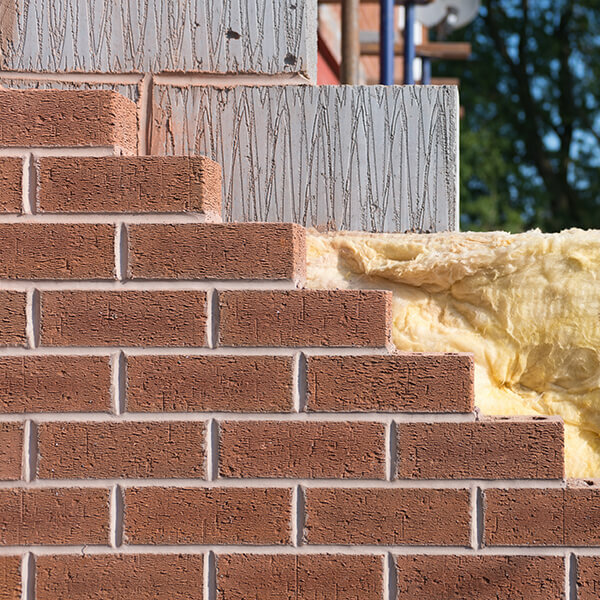 We can find the exact match of your brick - down to the name, code, size and manufacturer where possible, and the solution to match where not - within 24 hours. We also send samples of your matching brick and provide a quote for the bricks required to build your extension. 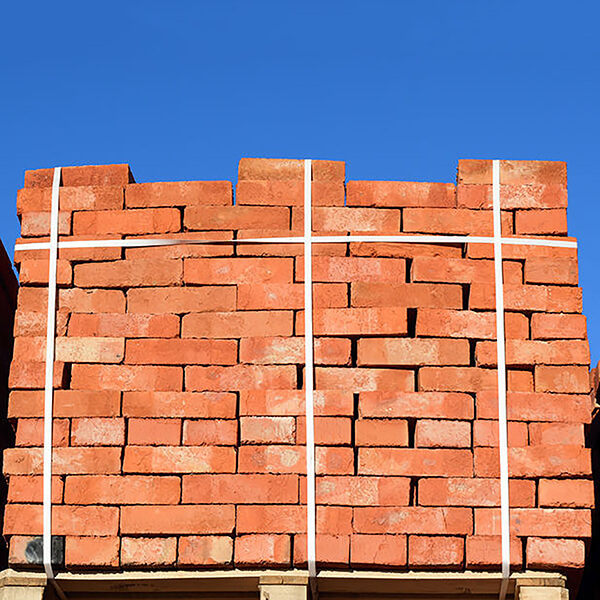 Try our brick matching service here.